7 months in to the centralized program here in Crystal Palace, we have really upped our game and trained and played with the best of the best! In addition to our normal week of training 6 days a week, twice a day, including strength and conditioning sessions, we bring in teams to give us match training. These teams come from outside the UK from countries where handball is a well-established sport and the standard is high. 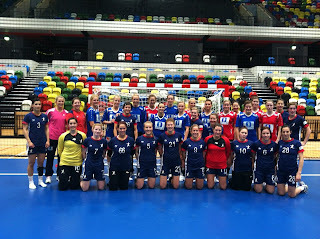 We have played against several teams from Norway for example. 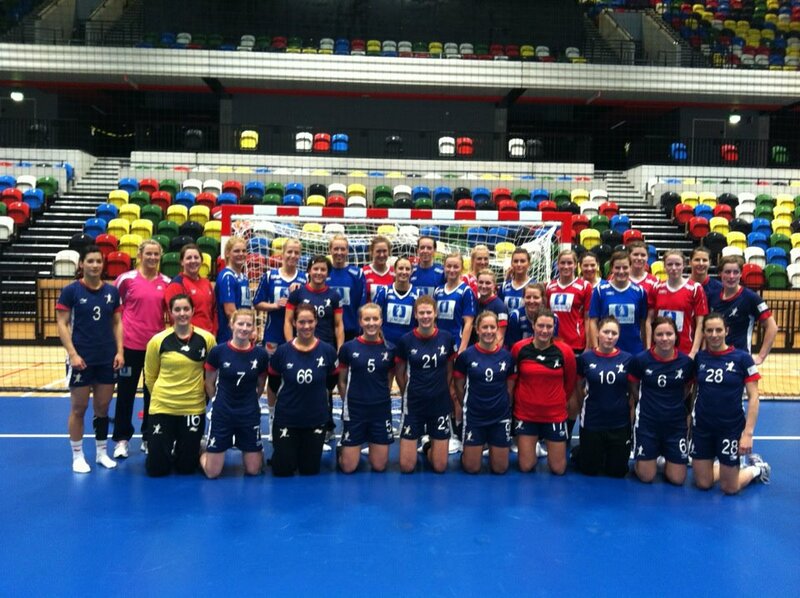 Last week though, we had the Norwegian national team here. We trained with them and played short matches. Norway is the current World- and Olympic champions. I must admit I was pretty starstruck… I met Linn Kristin Riegelhuth who has been on the national team since I was ten. She (and Katja Nyberg) was my idol and she signed my handball when I was twelve. I would have never believed that six years later I would be on the same court as her and train with her and the rest of the national team. It was a really great and useful experience. Now we know what the top level in the Olympics will be like. In the same week we played a friendly match against Brazil and played our Euro qualification against Poland on home ground and away. We lost both matches against Poland by more than we wanted to. We showed that we can compete during periods of the match but we also had some bad periods. Poland made the most of these, going in for the kill and taking the match. I have just come back from my Easter “holiday” in Norway where I trained with my old club team. I was supposed to play an important match for them, but got injured before that. I have torn two support ligaments in my ankle and have compression damage to my achilles. This doesn’t look good for my participation in the U20 world championship in Poland from the 05/04 – 07/4 2012.